A styling cream that creates amplified volume, touchable texture and flexible hold on dry hair for long-lasting revivability. Rub a small dab between hands. Apply to dry hair. Lift and muss into desired style. 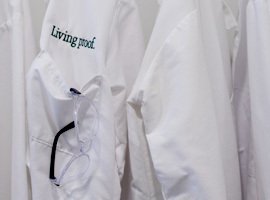 Formulated with our patented Thickening Molecule (PBAE) and a polymer blend. Together they add instant, soft, revivable volume and texture to dry hair while providing light hold and a natural finish. 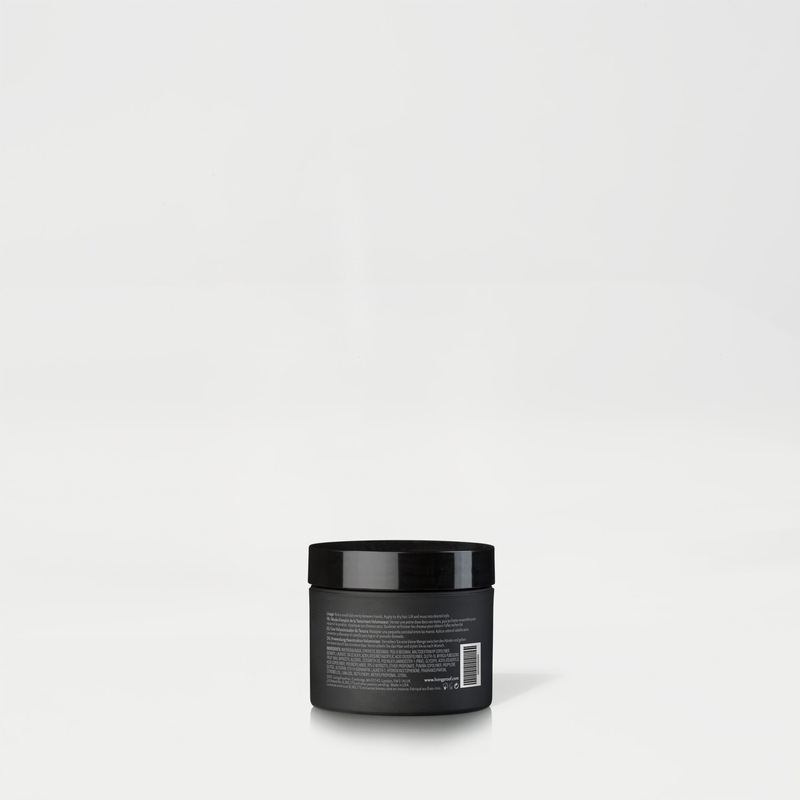 The result: instant, revivable volume and texture. What is Amp² Texture Volumizer? Amp² Texture Volumizer is a multifaceted, easy to use, instant styling product, powered by our miracle molecule, PBAE, to provide amplified volume, touchable texture and flexible hold to dry hair. The results are instant and revivable for up to 36 hours. No silicones or oils. Who is Amp² Texture Volumizer for? Amp² Texture Volumizer is targeted to anyone with flat, limp or lifeless hair looking for an easy and convenient solution to create volume and texture. Amp² Texture Volumizer works best on fine to medium hair types that are shoulder length and above with layers. Can you layer Amp² Texture Volumizer with other styling products? Yes, Amp² Texture Volumizer can be worn alone or with other styling products as desired. 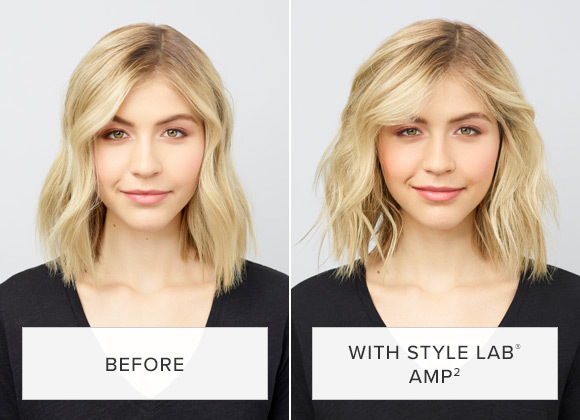 Does Amp² Texture Volumizer work with all styling products? Yes, Amp² Texture Volumizer can be layered with other stylers or used alone depending on the desired look and styling routine. Do the usage instructions for Amp² Texture Volumizer vary by hair style? Yes, the usage of Amp² Texture Volumizer varies slightly by hair length and cut. Everyone should start with a dime size amount gradually adding more as needed. Various effects can be achieved through slightly different application techniques. On shorter haircuts, apply Amp² Texture Volumizer directly to roots for maximum volume and rake through to ends for soft definition and texture. Apply directly to ends for piece definition. 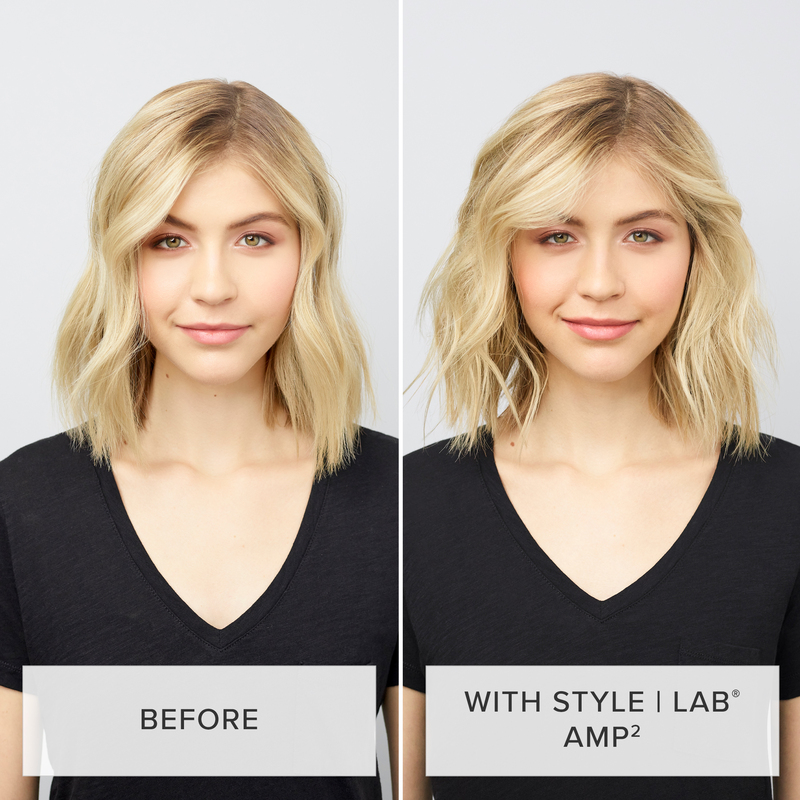 On longer haircuts, apply Amp² Texture Volumizer on the underneath sections of hair in an upward direction for volume and work into layers and scrunch to add texture. Twirl and play for add definition and movement. Can I use Amp² Texture Volumizer on wet hair as well? The primary usage of Amp² Texture Volumizer is intended for use on dry hair, but it can also be applied to wet hair as well. On damp, towel dried hair rub a dime size amount evenly between hands. Apply from root to tip. Air dry or heat style as desired. Use a diffuser to enhance waves or curls or blow dry or a smooth style. 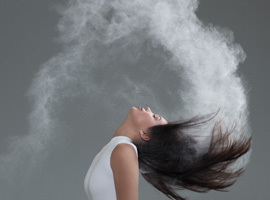 Does Amp² Texture Volumizer provide heat protection? No, Amp² Texture Volumizer does not provide heat protection. Does Amp² Texture Volumizer provide UV protection? No, Amp² Texture Volumizer does not provide UV protection. 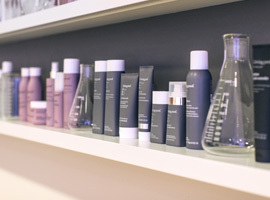 Is Amp² Texture Volumizer safe for color or chemically treated hair? Yes, Amp² Texture Volumizer is safe for color and chemically processed hair. Can I use Amp² Texture Volumizer with other Living Proof products? 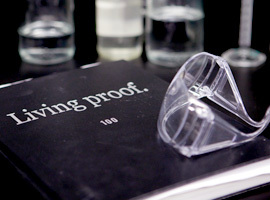 Yes, Amp² Texture Volumizer can be used with all Living Proof products. Depending on your hair needs it can be used alone or layered. 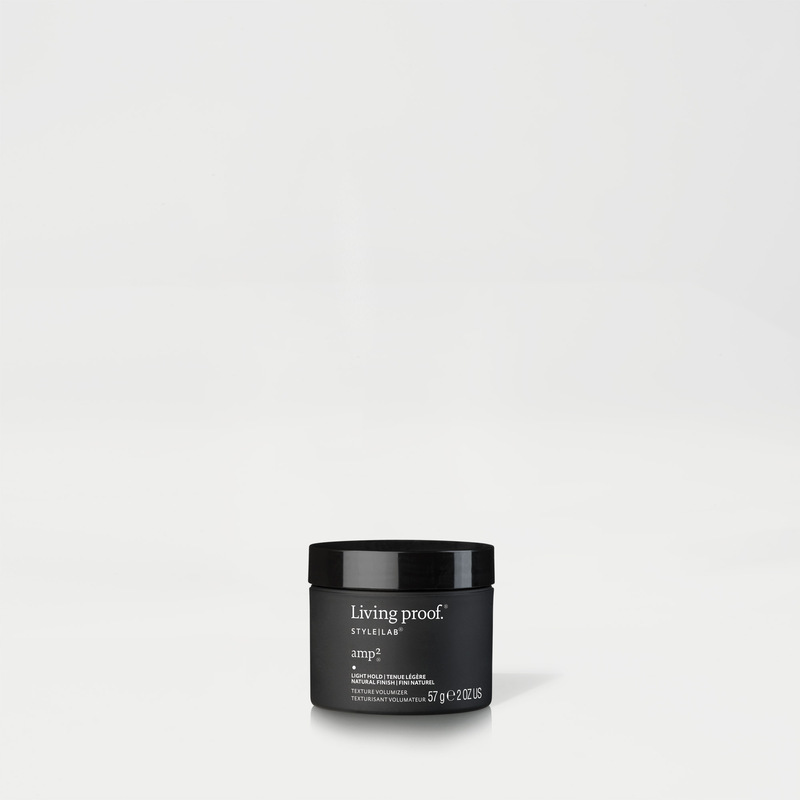 A versatile styling paste that is spreadable and pliable to control, shape, and hold short hair with medium hold. This buildable clay has the workability to shape, mold and hold hair damp or dry hair allowing you to create and rework styles throughout the day.